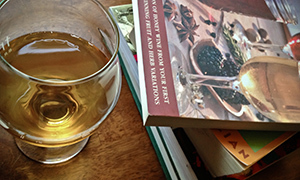 I recently finished reading a great little book on mead – and by finished, I mean only a couple hours after I started it. It was sent to me a while ago by Ayele Solomon – author and founder of Bee D’Vine (Thank you to Chrissie Manion Zaerpoor of Kookoolan World Meadery for connecting us). It took me a while after receiving it to actually start it, but when I did – It went by quite quickly. The Celebrated Story of Honey Wine is a great primer for those looking to get into drinking and making mead. Ayele’s conversational style of writing keeps the discourse informal, playful and light. The color illustrations throughout carry the same friendly feeling. The illustrations and writing style are a good deviation from the cover which is a little more formal. This is a bit of a shame. I think most of the books out there about mead have a more traditional feel to them. For example, look at the meadmaker’s bible – The Compleat Meadmaker by Ken Schramm. The cover has a similar feel to that of Ayele’s book. It would be great if the cover of The Celebrated Story of Honey Wine portrayed the same feeling as the pages behind it. It would differentiate itself from the other ones out there. Though the prose is casual and easy-going, Ayele’s appreciation for mead is undoubtedly strong. You can tell it is written by somebody who is truly passionate about honey wine. Consider this the Cliff’s Notes guide to mead, the bootstrap guide to mead. No long boring discussions of Vikings and Mesopotamians here. 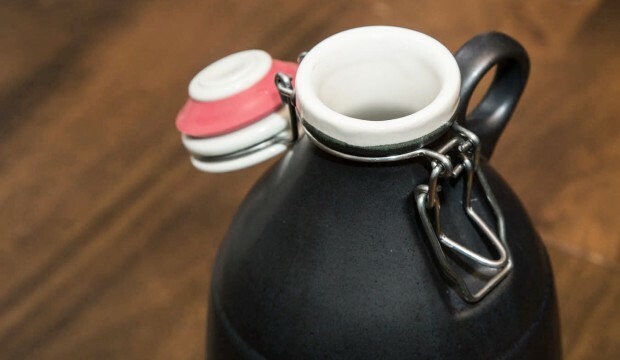 This is the quick modern guide to high-quality, modern American craft meads. It’s a winner! Drink more mead!